There are those who defy age to try out new things later in life. 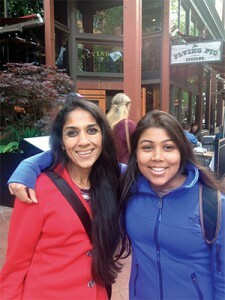 Anjali Saraogi, who took to running marathons at 41, is one among them, and a rather illustrious one at that. 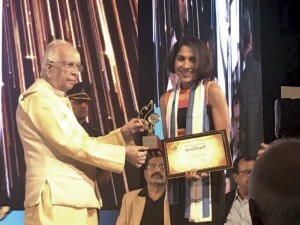 Having achieved the distinction of being the fastest Indian woman participant in the 2017 Comrades Marathon, Saraogi finds herself lacing up to run her way into glory in marathons in both India and abroad. One is never too old or too young to try something new and explore the limits of what one can do. Kolkata-based runner Anjali Saraogi follows this philosophy passionately. Unlike many athletes who embrace a sport in their early years, she took up running seriously after competing in a half-marathon three years ago. Now 44, she has covered plenty of ground since. Saraogi attributes her late start to inhibitions she harboured as a student (of La Martiniere for Girls, Kolkata). “I had been fascinated by running in those days, but since I was fairly plump, I could never muster the confidence to participate in a school race.” While her classmates would race towards the finishing line, a young Anjali would just watch them from the sidelines. Years later, as she took to running to shed her extra weight after giving birth to her only child, this passion for running resurfaced, and what began with a ‘five kilometres five times a week’ regimen slowly increased over the years. Taking part in a full-fledged marathon actually, however, was still some way off. 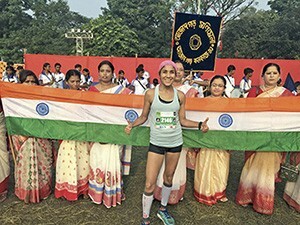 The ultimate push that sent her to the starting block as a professional runner came in 2015, when Mamta, her daughter, insisted that she take part in a half-marathon, an exciting run of 21 km that was going to be held in the city on November 29 that year. Recalling the anxiety that followed, Saraogi says, “I was not really sure if I could do this because I had never run beyond 10 km before. To top it all, I knew nothing about training for a half-marathon.” Nevertheless, the loving, caring mother gave in to her daughter’s wishes and registered herself for the race. 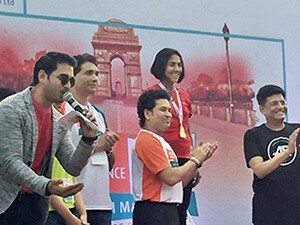 On the big day, as she lined up with the other runners at the starting line of the ‘Airtel Run for Education Marathon’, Mamta was there to soothe her strained nerves with her encouraging words: “Mom, at the most, you would not be able to complete the race, and there is no shame in that. But if you give it a try, at least you will have no regrets,” she said. Emboldened, Saraogi tenaciously completed the race in 1 hour and 55 minutes, finishing third, much to the delight of her family. As she savoured her victory with a sense of pride, achievement and the relief and disbelief that almost every runner feels after running their first marathon, she realised how much she had enjoyed the run. Her career as a professional runner had begun. 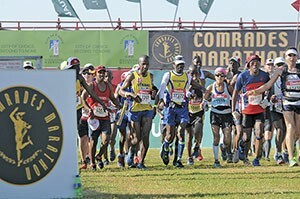 Participation in half-marathons up and down the country followed. First up was the ‘Goa River Marathon 2015’ where she clocked 1 hour and 55 minutes again to cover the 21 km stretch. Then followed the ‘Standard Chartered Mumbai Marathon 2016’ where she crossed the finishing line in one hour and 44 minutes. Saraogi now wanted to challenge herself further by attempting a full marathon, and decided that her next goal would be to run the ‘Bank of America Chicago Marathon’, a formidable 42.16 km stretch, in October 2016. She says, “I set my heart on running this marathon because it is part of the World Marathon Majors series. The course is flat, and the weather is perfect for running. Most importantly, I felt that if I could complete this marathon fast enough, I might qualify for the Boston Marathon.” Considered to be the Holy Grail for runners, the Boston Marathon allows participants with a qualifying time from another marathon. To ensure that she got herself across the finishing line at the Chicago Marathon, Saraogi began to train with discipline. This was not to be an easy task, however, as soon after she suffered a gym injury. Though the doctors painted a grim picture and said that she would not be able to run again, she refused to give up, and three-and-a-half months later, went back into training! On D-Day, as the starter’s pistol went off, she kept her focus and ran the course to finish the race in 3 hours and 32 minutes, earning her Boston qualification. and mind do not want to continue during a race] from 60 km onwards.” She decided to take all these problems in her stride and give her best. For Saraogi, whose longest training run was 60 km, fatigue and pain took over 66 km into the race. When her legs couldn’t take it anymore, she persevered and ran with her heart. Upon nearing the finishing line, the sense of relief was indescribable! 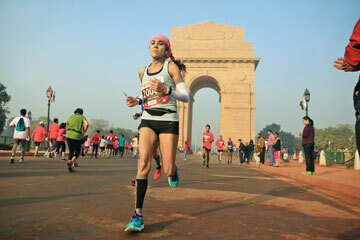 With a last spurt of supreme effort, Saraogi crossed the finishing line, clocking 8 hours, 38 minutes and 23 seconds, setting the fastest time for Indian women runners, and overall, the second fastest time for Indian runners. The 18 marathons that Saraogi has participated in so far, the accolades that have been heaped upon her are impressive. The most noteworthy among these is the Asadharan Award by Friends of Kolkata that was bestowed upon her on December 8, 2017, by Keshari Nath Tripathi, Governor of West Bengal. Looking back at it all, Saraogi, who runs a medical diagnostic centre with her husband Arvind when she is not running marathons, says, “I feel tremendously fortunate that I have been able to pursue my passion. Running has made me realise that the human body and mind know no limits, as long as one is willing to work towards achieving one’s goal.” So, what does the future hold for her? “I’ve completed the Chicago Marathon; now, I’m looking to compete in the remaining World Marathon Majors, namely New York City, Boston, Berlin, Tokyo and London”, she signs off.